Panache is thrilled to announce that Mac DeMarco has been announced on the Polaris Prize short list for his current album Salad Days. Polaris Prize honors the best album of the year by a Canadian artist. Other artists in the running include Drake, Arcade Fire, and Owen Pallett. At the ripe old age of 24, Mac has already released three albums to date and toured the globe charming fans not only in Canada and the United States but internationally as he’s sold out venues across Asia, Australia, South America, North America, and Europe. 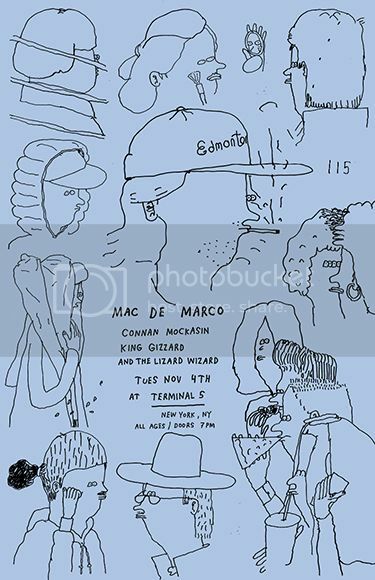 Mac DeMarco will be performing at Terminal 5 on Tues Nov 4th with international acts Connan Mockasin and King Gizzard and the Lizard Wizard. Tickets go on sale Friday and can be found here.